It is Christmas time, lights, decorations and presents are everywhere; supermarkets and stores are full of people, trying to have everything ready for the celebrations with family and friends. But, have we ever stopped just a minute and thought about generous giving, ethical consumption, and faithful prayer during these days? “The Bible opens with the creation of the universe as the temple of God. It is the handiwork of God, so that the whole of creation is thereby invested with value”, said Scott Higgins, an ordained Baptist minister, consultant and blogger. This understanding “transforms the way I engage with the earth, its creatures, and my fellow human beings”, he added. “God’s intention is that all living creatures enjoy life. How then can I be indifferent to the ways my consumption is degrading the earth’s environmental systems and driving a great mass extinction of species? How can I tolerate the exploitation of workers who produce the goods I buy?”, Higgins argued. Higgins concluded: “How can I be so caught up in having more that I am unavailable to people in need? I cannot. This is why and how I take my faith with me when I shop”. Natalie Duchesne, Baptist World Aid’s former National Partnerships Coordinator, recommends to start by “taking baby steps. One example is eliminating plastic shopping bags”. After that, “be more intentional with your shopping choices. Take jars to bulk food shops to collect pasta, rice, or lentils, or to refill my shampoo bottle; put spinach leaves in paper mushroom bags rather than plastic, or take your own reusable plastic containers to get takeaway from the restaurant”. “These are more than just ideals though… ultimately, we’re called by God to love the earth. We have access to a Bible where, in the very first few chapters, our great responsibility to steward our resources well is outlined”, Duchesne says. “I have found that moving towards living a plastic free life hasn’t restricted me, but rather challenged and grown my creativity tenfold. When I’m honouring God in the most holistic sense that I can, my faithful consumption brings me closer to Him”, she points out. There are “countless reports about the way that our love of buying more and more fashion leads to the environment, and the people who rely on it for their well-being, being devalued and destroyed”, explains Meredith Rynan, a lawyer at Baptist World Aid. “I don’t think that buying clothes should be entirely avoided, or that loving fashion is something of which to be ashamed. I don’t think it’s necessary to boycott fashion, but I do hope that we can be part of helping it to re-discover its true value”, she says. According to Rynan, “to slow down my consumption, appreciate what I have, identify what I need, and really value the pieces I choose to buy, has led to me actively valuing the people who make my clothes and the environmental resources that go into their production”. She suggests “to buy at op shops. The prices are lower, and the money goes to Op Shop charities rather than big companies”, and “to choose ethical brands and buy higher quality clothes”. “It’s important that we focus on and remember the gift of Jesus to transform our world, and, as we do, we should also remember that our actions impact this planet – and the people who inhabit it”, says Libby Sanders, Baptist World Aid’s Corporate Advocacy Lead. In order to “make Christmas decisions more thoughtful and, where possible, more ethical”, she recommends “to set aside some time, and write up a list of what you might need to consider for your family’s Christmas”. Additionally, “review your list with an ethical lens, to see where you might be able to make more thoughtful or ethical choices. Reduce what you buy new, reuse things that can have a second life, and recycle what cannot”. “If you’re looking to ensure that the workers who made the products you’re gifting have protections for fair working conditions and pay, then be sure to look for certifications that can be relied upon such as Fairtrade”. 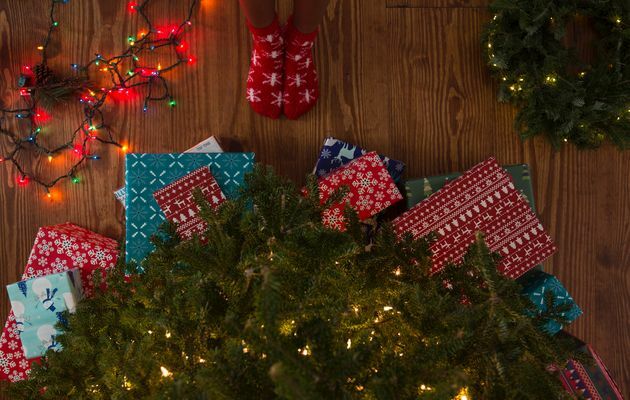 “Have you noticed that people can go a bit crazy about Christmas when they have kids?”, Susy Lee, Advocacy Coordinator for Baptist World Aid points out. As Christians, “we know a God of abundance, and Jesus counselled us to live with contentment. As Christian parents then, we are at odds with our society in this, and it’s particularly apparent at Christmas” Lee adds. She believes that “understanding the effects of our consumer culture on us and on our children is the first step to pushing back”. - Choose contentment: Christians are called to contentment rather than to the obsession with chasing ever-changing happiness goals. - Practise gratitude: Encourage each other to pray daily beginning with thanksgiving, or to think of three things they’re grateful for before bed each night. - Create a culture of compassion: Explain what you believe to your children, what causes you care about and why. Talk about and pray for contemporary issues and ask your children for their opinions. - Be generous: Teach your children about generosity. Encourage your children to give from their pocket money. They may choose to do extra work to increase this amount or ask their extended family to give their gifts to children who need them more.